With all of the E3 2018 hype surrounding Fallout 76, I decided that it was time to revisit Boston and finish up the DLC for the game. I hadn’t played since I beat the base game back at the end of 2015, while the DLC came out slowly over the following year I had at that time decided that I would wait until it was all released before diving in. Well, it’s been a couple years since then but I’m finally making good on this so that when Fallout 76 releases later this year I’ll be ready to move onto the new title. 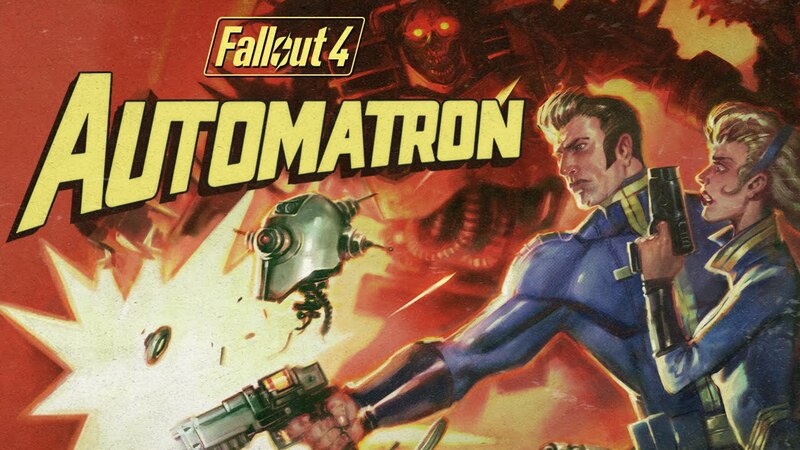 The first DLC that released for Fallout 4 was Automatron, an expansion that adds robotic friends that you can build and customize to use as your followers. Doing so requires you to complete a short and sweet questline which I was able to complete last night. When I first logged into the game I was greeted by several new quests that were associated with the various DLCs. Each requires you to listen to a radio frequency on your Pip Boy, at which point you’ll then be shown where to go to get the quest started. The radio frequency for this particular quest sent me off in the direction of a distress signal, and once there I found a swarm of robots duking it out in the wasteland. After the fighting stops, we meet “Ada,” a robot that seems a bit more sentient than others we’ve seen in the commonwealth. She tells us about “The Mechanist” who is a villain of sorts for this particular questline. A person who has created robo-brains and other dastardly robots that seem intent on killing off any threats to humanity, including humans themselves. They seem to have killed off Ada’s friends, and she wants to join you in taking The Mechanist down. We track down a radar beacon which Ada tells me that we need to locate The Mechanist. After doing so we create the new work bench for robo pals in Sanctuary, and I set about installing the beacon into Ada. At this point I took the liberty of beefing her up a bit as well, because if I’m going to have a companion follow me around they better pull their weight. Afterwards, she says we need to find a couple more. One of which is hiding inside a raider base, so that took some effort to get to. The third and final beacon is installed in Jezebel, a robo brain that doesn’t have a body and has been “poked and prodded” by these raider scum. She pleads with me that if we take her from that place she will give us the beacon, but that there will be more necessary to confront The Mechanist. She wants me to build a body for her, and from there she will provide us with access codes that can be installed in Ada so we can proceed. I did so, and she kept her word despite Ada’s warnings about robo brains. We learn that The Mechanist is hiding in a Robco Sales & Service building, so we head there. This dungeon of sorts was crawling with bandits and robots alike, and took some time to get through but eventually we were facing off against the Mechanist. There were a ton of robots to kill during this fight and I died several times, but eventually we had won. The Mechanist turned out to be a woman named Isabel Cruz, and she didn’t really seem to be malicious, only trying to use her robot creations to create a better world. She ended up leaving peacefully, and I ended up getting her suit which was a bit of an upgrade over the gear I had been using prior. Over the course of the DLC I gained a couple of levels, from 33-35, so I’m now ready to head into the Far Harbor DLC. After that point, there’s Nuka World, as the other DLCs are only workshops and don’t include new quest content. I’m not as interested in the building aspects of the game so I’ll be moving on after I complete these new areas. Look for more on this soon as I intend to finish fairly quickly.